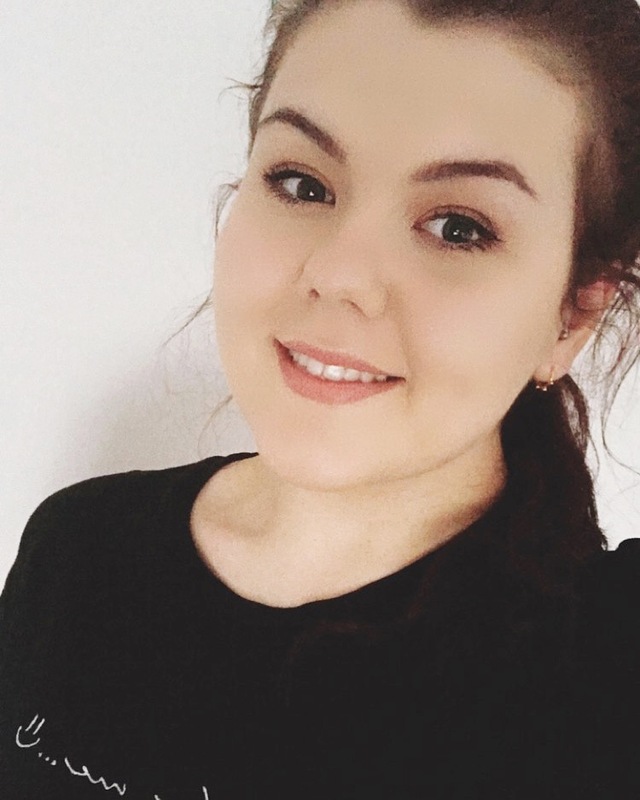 Even though I like to believe that all my beauty products stay in their muji drawers and in my bathroom cabinet, I know in reality they don't. 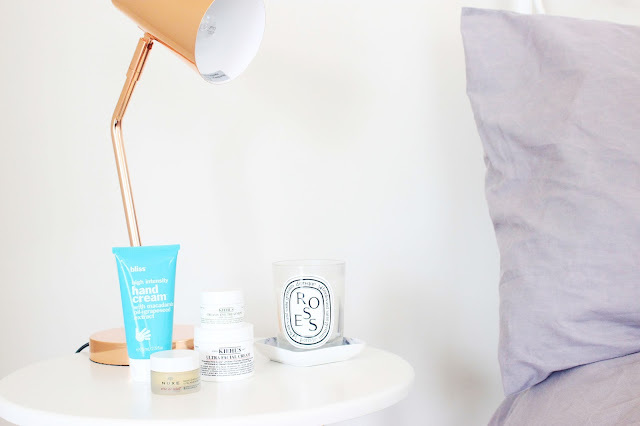 Products regularly venture onto my beside table and despite wanting to keep the area neat and tidy, I usually slip up, having a handful of products at my disposal during my night time routine. Kiehl's Ultra Facial Cream | £24 | Link | If there's one thing I forget to do at night, it's moisturise my face. Since using the Kiehl's Ultra Facial Cream I have been a changed woman as this lightweight moisturiser restores the skin's moisture, whilst promoting healthy skin. Now who could miss that at night? Unlike other formulas I've tried, the Kiehl's Ultra Facial Cream doesn't clog up pores, but instead it deeply nourishes the skin reader for my eye cream. For extra hydration, I spritz the Jurlique Rosewater Balancing Mist to lightly refresh and soften the skin before applying my moisturiser. Nuxe Reve Del Miel Lip Balm | £9.50 | Link | This intensely hydrating lip balm has been a staple in my routine for years now. I've gone through tubs and I have them pretty much in every room, so it's not a surprise that one ended up on my bedside table. Enriched with natural plant oils, shea butter and grapefruit essence, this lip balm instantly restores, repairs and nourishes your lips. Once you've tried a tub, you'll begin to release why this is such a beauty cult favourite. 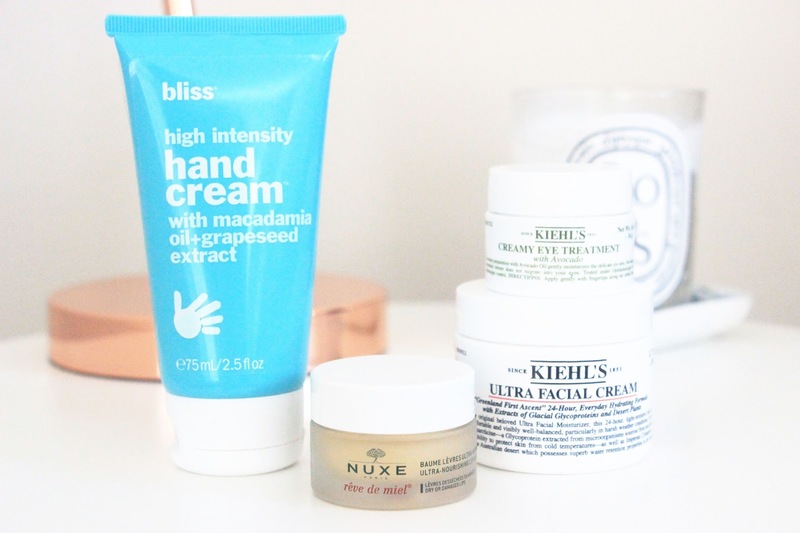 Bliss High Intensity Hand Cream* | £18.50 | Link | I've never been a massive hand cream fan, I've tried all sorts from high end to high street, but the slow absorbing, greasy textures do nothing for me or my hands. When the Bliss High Intensity Hand Cream landed on my doorstep, I thought macadamia oil for your hands? But it works and now I am fully converted. I apply this before I go to sleep and when I wake up, my hands feel nourished and softened. Kiehl's Creamy Eye Treatment | £20 | Link | During the Summer months, my eyes tend to suffer the most and for the past couple of months I have been religiously reapplying the Kiehl's Creamy Eye Treatment to sort out my dehydrated eye area. Even though the formula is thick and rich, I still find that I can use this day and night. Fast absorbing, light weight and extremely hydrating, there is nothing else that I could want more an eye cream. This unique formula doesn't migrate into the eyes and this 14ml will last you for ages. What products are on your bedside table?